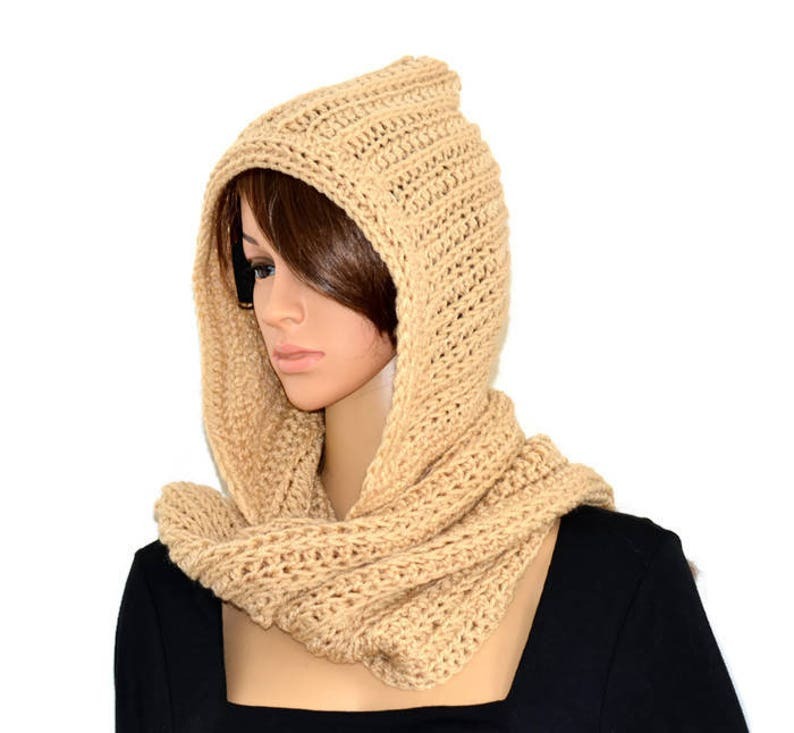 This listing is for very pretty hooded scarf . I have hand crochet it , looks beautiful and no more need to take a scarf and a hat , solves both purpose . Warm and cozy . Scarf length is 70 inches long and 6 inches wide , hood is attached to the scarf .